Avendus Capital advises MAS Financial Services Ltd on raising growth capital from DEG – Deutsche Investitions- und Entwicklungsgesellschaft mbH. MAS Financial, a leading retail non-banking financial company (NBFC) in Gujarat, has raised growth capital from DEG – Deutsche Investitions- und Entwicklungsgesellschaft mbH. With over two decades of experience in doorstep financing, MAS caters to the specialised financial needs of MSME’s. It also provides loans for financing two wheelers, CVs and affordable housing. Avendus Capital was the exclusive financial advisor to MAS Financial Services Ltd for this transaction. 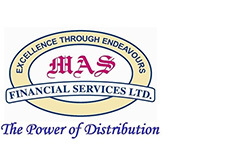 About MAS Financial Services Ltd.
MAS Financial is a leading retail Non Banking Finance company with presence across Gujarat, Maharashtra and Rajasthan, focusing on micro enterprises/MSME loans, two wheelers loans, commercial vehicle and affordable housing finance. DEG, a subsidiary of KfW and one of Europe's largest development finance institutions, finances investments of private companies in developing and transition countries. DEG has been committed to private-sector investments in India since 1964. Drawing upon its many years of experience in India as well as in other developing countries, it provides valuable assistance to companies in realizing their investment projects. DEG invests in companies across the sectors that contribute to sustainable development of the economy. DEG’s India portfolio currently stands at over EUR 500 million spread across about 50 companies.